The Kassidy Bridesmaid dress features a feminine georgette gown held by a soft flowing halter at the neck, which flows through into a floor length skirt. 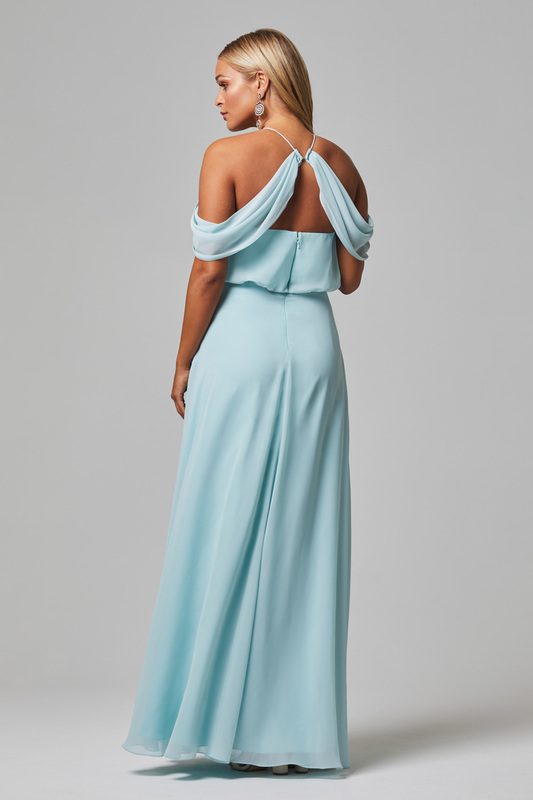 Turn heads on your special day in the captivating Tania Olsen Designs Kassidy bridesmaid dress. It features a minimal-style halter neck and feminine, floaty shoulder detailing over the bodice.